Here at Hills District Mums HQ we love our husbands dearly. And contrary to popular belief, there isn’t much husband-bashing in the Hills District Mums Facebook group at all, particularly when you take into account that there are over 17,000 women in the group! Yes, at times we like to have a giggle at their expense but overall we greatly appreciate the men in our lives. In fact, some of the most popular posts of all time have related to our dear husbands. We love these blokes. Not only are they actually doing something around the house (big tick) but they’ve thought outside the box and, in one case, we must admit the solution really is a stroke of genius! So here they are, in order of popularity with the mums based on likes received. Enjoy. In second place is the husband who was tasked with disposing of the Christmas tree. 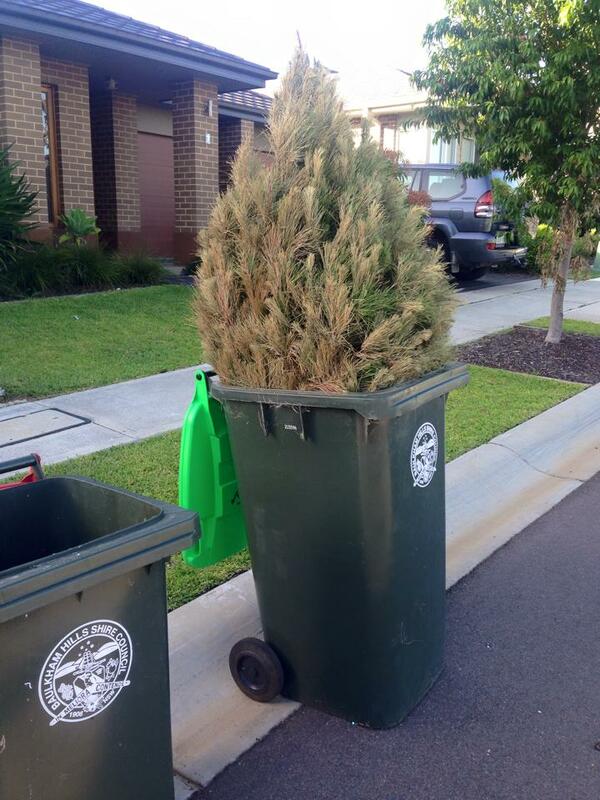 He couldn’t understand why they didn’t take his bin…. 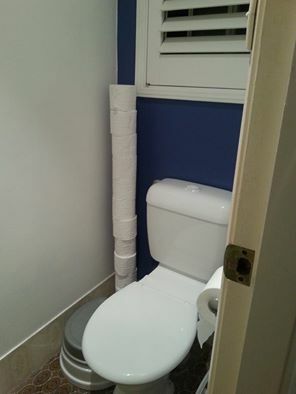 Technically in third place, but with special honours for ingenuity, is the husband who decided to surprise his wife and clean the upstairs bathroom. 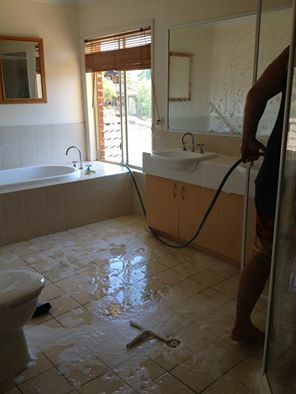 Yes, you heard right, this UPSTAIRS bathroom was sparkling like never before after this husband hosed it down! 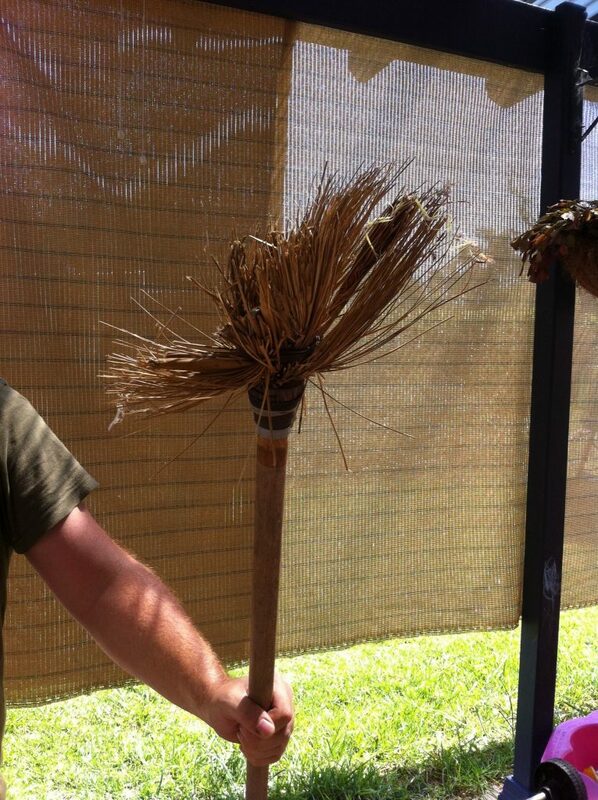 This one is a story of a man who loved his broom so much he refused to replace it, despite it seeing better days. There was a similar one about a husband and his toothbrush but that was a little too grotty to repeat. Do you have a helpful husband? We’d love to hear all about it….